Today we will focus in detail on the experience of a project, implemented in Panama, that used drones to monitor forests at the community level. Join us for a live webinar and take a look at the other additional resources the project has made available for this learning activity. Maricarmen Ruiz from FAO Panama will share her experience on the use of drones for community forest monitoring, working closely together with Indigenous Communities in Panama during a project that was called “Community monitoring of forests in indigenous territories in Panama” with the support from ONU-REDD. She will explain why and how the technology was introduced, give you some insights in what worked well and what the challenges are and what impact the project had on the communities involved. María del Carmen Ruiz Jaén is a technical advisor in Community-based Monitoring and Forestry. 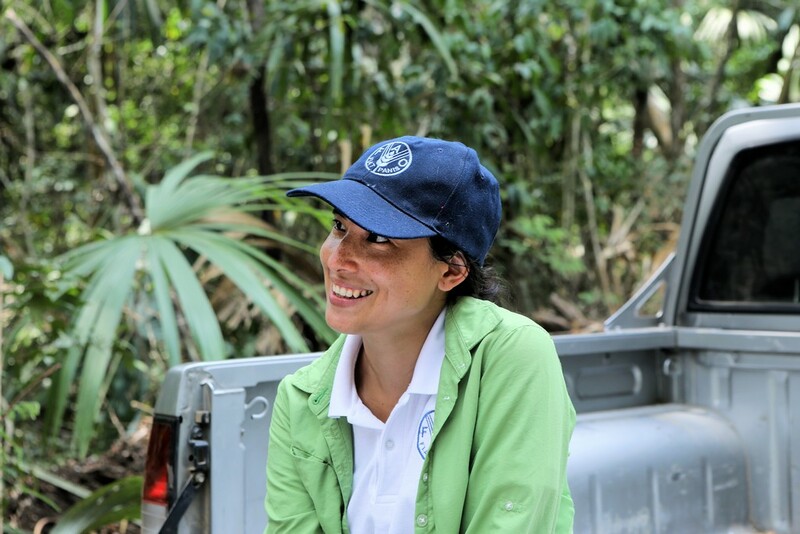 She holds a PhD in tropical forest ecology from McGill University in Canada, a master's degree in forest restoration ecology from the University of Puerto Rico, Río Piedras and a degree in biology with a major in botany from the University of Panama. For the past five years, she has been part of the team of the FAO Subregional Office for Mesoamerica and has supported the implementation of forest monitoring systems at the community and national levels and linking community forest monitoring to indigenous territories with sustainable forest management activities. For more than 10 years he has worked with different methodologies for the estimation of carbon stocks and forest inventories in different types of tropical forests in Panama, Puerto Rico, Ghana and Gabon. To learn more on the project you can download the promising practice fact sheet of the project experience in English or in Spanish. These fact sheets give detailed information about the project, the capacity development initiatives, the use of drones and is bringing forward the lessons learned, the challenges and the sollutions the project found. Click on the language of your choice to download the document. In the following video clip you can learn more about the experience from Rafael Valdespino, Technician from Marraganti, Comarca Embera Wounaan in Panama. He is one of the members of the indigenous communities involved in the project that benefitted from the capacity development activities in the project and now manages the monitoring of the forest for his community. The following articles and links can give you more insights and knowledge on the use of drones in forestry monitoring. News: Use of drones are used to monitor and enforce forests in Malaysia - Sarawak Forestry Corporation’s implemented a new initiative called GeoDrone to enhance its forest management activities, including monitoring and enforcement. Sarawak is one of two Malaysian states on the island of Borneo.